We all have the same amount of time in a day. So what sets apart those who are productive from those who aren’t? How we manage that time. 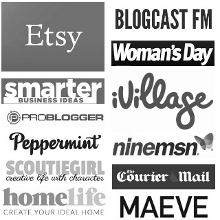 In this podcast I go over five tried and tested time management hacks. If you implement these into your life, I promise that you will find you are getting MORE done in less time, and with more calm and focus. I use all 5 of these hacks on a regular basis to get my work done efficiently and effectively – and therefore do better quality work in less time – which is a win-win situation, for sure! 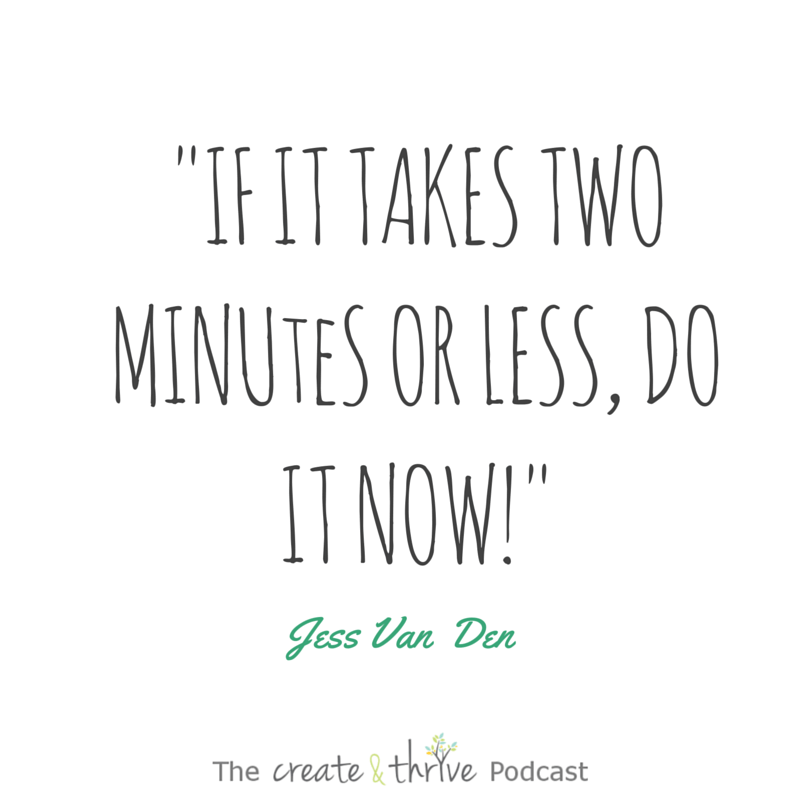 This podcast is actually a little peek inside one of the workshops I offer in the Thriver Circle – How to be More Productive by Managing your Time, Energy, and Focus. What I share here today is less than a quarter of what I share in the full workshop, but it’s a powerful hit of information that – if you implement it! – will see your focus improve and your work flow. P.S. This episode is a redux of episode 30. I managed to pick up an illness on my way home from Japan, and instead of subjecting you to a whole episode of my sounding croaky, I thought a replay of this useful episode was in order, instead! It is scientifically proven that multitasking DOES NOT WORK. Your brain can not process two tasks simultaneously. Instead it very rapidly jumps from one task to the other. That transition period slows you down. The better approach is single-tasking. Turn everything else off, and focus on the singular task at hand! Don’t check emails as they pop up throughout the day. Process them instead, and then move onto the next task. The Pomodoro Technique works with the scientific findings that after 90 minutes your brain’s focusing ability is tapped out. After that period, you must reset your brain. Grab a drink. Go for a walk. Stretch. Play a video game. Play with your cat! Split your time between focused work, and then rest. During the work, do nothing but work! You can download an app to time your focused sessions. When you know there’s an end coming, it allows you to be highly focused. Chunking your tasks is another effective approach. Create blocks of time for similar tasks. You can chunk by the day or by the week. Maybe your mornings are dedicated to creating, your early afternoon is for processing emails, your late afternoon is for marketing. Or you can dedicate Tuesday and Thursdays to making, Fridays to marketing, Mondays to business. What works for you! This approach allows your brain to really dive deep into the task at hand. The 7 Habits of Highly Effective People has suggested the matrix technique. This method has you put all tasks into four categories, ‘Urgent, Important’ ‘Urgent, Not Important’ ‘Not Urgent, Important’ ‘Not Urgent, Not Important. A great tool for prioritizing! Keep in mind, it’s the Not Urgent, But Important’ category that often gets overlooked. And lastly, but not least there is the two minute rule. If it takes two minutes or less, do it now! When our brain has a task that it knows needs to be done, it loops and keeps coming back to that task. Causing distraction. If you can answer an email quickly, do it! Let that loop be closed. What strategies have you used?